Our site’s visitors often ask us, “What is the best option for me, screen-printed or digitally-printed banners?” While it’s a great question, there is – unfortunately – no easy answer. Personally, we prefer screen-printed banners, as they offer more vibrant inks and can be applied to durable, marine acrylic fabrics. It’s possible that we’re biased, though, since screen-printed banners were our very first product line back in 1983 and, over the years, we’ve become really good at it! Having said that, digital technology has some definite advantages when it comes to printing your banners. The ability to recreate photographic images, complex tints and vibrant tones as well as the simple customization process makes digitally-printed banners an excellent choice in their own right. When they are done correctly, digital designs are wonderful, bold and intriguing. They offer a range of complexity that screen-printing simply cannot match. When it comes to durability, digital printing has come a long way in the last ten years. 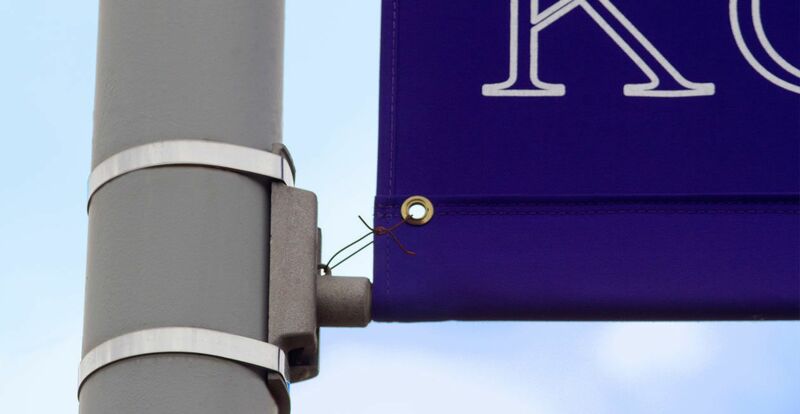 Now richer and more UV resistant than they were in the past, the days of faded vinyl banners are over. With those improvements came reductions in cost, as well. With digital printing and screen printing costing nearly the same, the larger concern is the material that you select for your banners. So, then, how do you choose? Well, if you’re opting for rich, bold colors that last almost indefinitely, then screen-printed banners are likely the best option. Their ability to print simple, clear messages in extremely vibrant and noticeable colors is unparalleled. If, on the other hand, you want to recreate a photograph or utilize complex imagery, digital printing is likely the best option for you. At BannerFlex, our banner bracket hardware works the same, regardless of whether you’re hanging a digitally-printed or screen-printed banner. 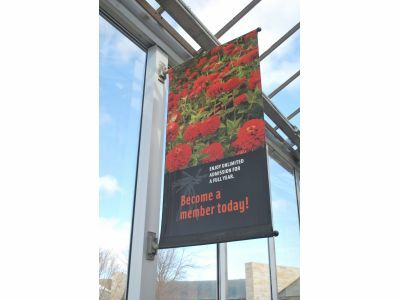 Long-lasting and guaranteed to withstand the elements, we’re confident that you’ll be happy with your hardware and, should you purchase a banner from us as well through Kalamazoo Banner Works, we know that you’ll love the overall durability and beauty that the combination affords.